Servicing our customers is very important to Capt. Neill’s Seafood. As we grow, we are constantly expanding our fleet and delivery area to ensure that people all over can enjoy our wonderful products. Capt. Neill’s Seafood continually strives to ensure that our products are delivered as fast as possible while maintaining our high level of quality. 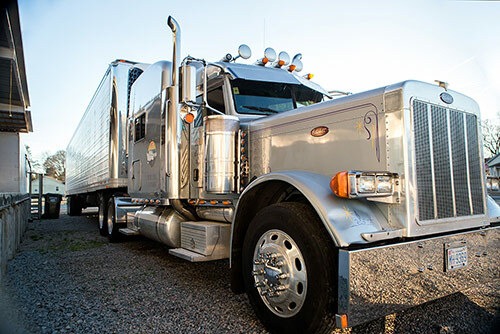 We currently have a fleet of 10 trucks ranging from 18 wheelers to box trucks to accommodate any need. All of our trucks are temperature controlled and undergo inspection before they are allowed to leave for delivery. Our trucks are temperature monitored every hour to guarantee that our product is properly taken care of while out for delivery. Capt. Neill’s Seafood works closely with our customers to grow our business. We are always looking to expand our delivery area. Capt. Neill’s Seafood is capable of broadening our area, so please never hesitate to contact us if we are not currently servicing your area. No delivery area is too far! Our company will do our best to make sure our seafood products are delivered to you.